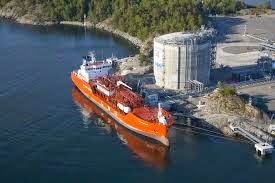 The liquefied natural gas (LNG) business in the US is growing so fast that many experts believe it may soon rival that of Russia in the European market. American gas is likely to make a serious challenge to the more expensive supply currently provided by Russia. New production all over the world could as much as double LNG output by 2018, this according to industry estimates. "We believe that the European gas market will be a balancing market for global gas," says Birger Balteskard, global LNG marketing manager for ConocoPhillips.